Jozef Hen's memoir is about growing up in a middle-class Jewish family in Warsaw during the 1920s and 1930s, up through the first few months of the German occupation. Nowolipie Street, where Hen lived as a child and young adult, is both the happy background and the source material for his narration. The story of his youth is vividly presented as remembered and retold by Hen in loving detail. This world is shattered when Germany invades Poland. The author and his family live through the horror of the incessant bombardment of Warsaw and the chaos of the next few months. Slowly but inexorably, the noose begins to tighten around the Jewish population. Eventually, the sixteen-year-old author makes the agonizing decision to leave his parents and flee his country. Jozef Hen, born in 1923 in Warsaw as Jozef Henryk Cukier, is one of the most highly regarded Polish writers of his generation. Following the outbreak of World War II, he escaped from Poland to the East before he joined the Polish Army in exile. He was a war correspondent and published his first poem in a magazine for soldiers, the Soldier's Voice. During the war he lost several close relatives. 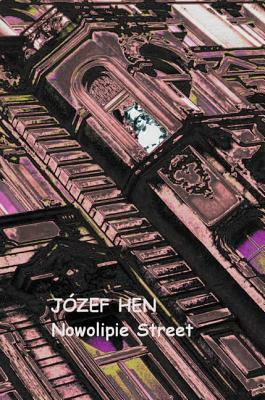 Nowolipie Street is Hen's first book to be translated into English. The book was translated earlier into Italian and German, and it was reprinted last year in Poland. Other works by Hen have been translated into numerous languages. He has also written scripts for several Polish movies and TV series and was a film director. Autobiographical elements play a prominent role in Hen's works and he is known for his intriguing comments on history and culture." Nowolipie Street, a fantastic memoir of how one young Polish man s life was changed forever by the horrific events of World War II, will deeply impact its readers. The author begins by tracing memories of his childhood, the early years of his education, and the years leading up to the Second World War. He then recounts his family s heart-wrenching experiences. There can never now again be a memoir of the lost Jewish world of interwar Warsaw to compare to this generously detailed and beautifully crafted study of childhood by Józef Hen. This is to be savored and treasured and preserved.